* Born in November 1935. * Elected Leader of the (Six Parties) Independent Opposition Group 2009.in the Senate of Pakistan – appointed Leader of the PML (N) Parliamentary Party in the Senate. 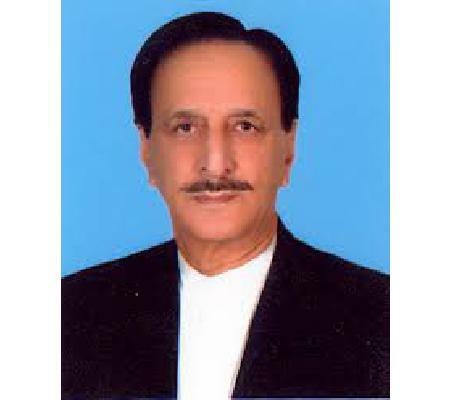 * Elected as Chairman Senate Standing Committee on Industries and Production in 2012. * Appointed as Leader of the House, Senate of Pakistan on 10th June, 2013. * Appointed as Leader of the House, Senate of Pakistan on 12th March, 2015. * Re-elected Secretary General of Motamar Al-Alam Al-Islami 2015 for five years term. * Re-elected Chairman, Pakistan Muslim League (N) on 18th October, 2016. * Declared as Leader of the Opposition in the Senate of Pakistan on 24th August, 2018. * Strong believer in the inter faith tolerance.